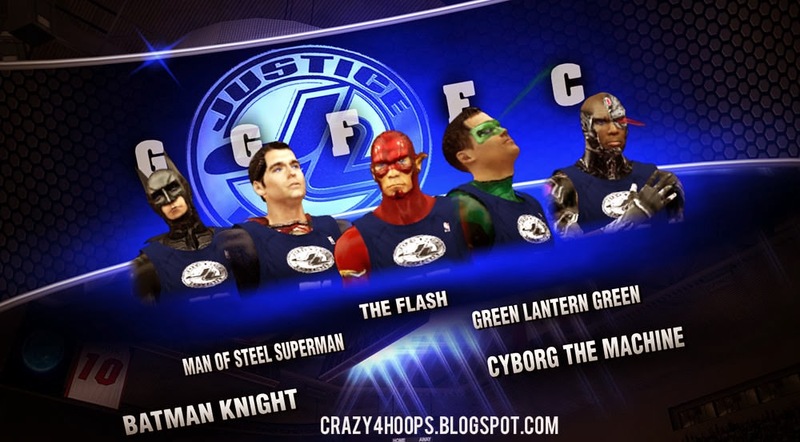 This mod by MGX for NBA 2k14 (PC) lets you play as the Marvel’s and DC’s Superheroes - Team The Avengers and Team Justice League. 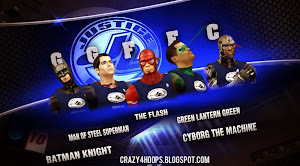 These two teams has the roster of 25 superheroes like Spiderman, Hulk, Batman, Captain America etc. 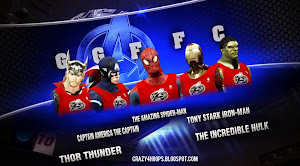 Download and then extract the downloaded file using 7zip. 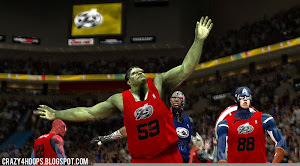 Inside the NBA 2k14 Avengers vs JusticeLeague Mod by MGX’ folder you will see 3 sub-folders named Main Folder, Saves folder, and Shoes. 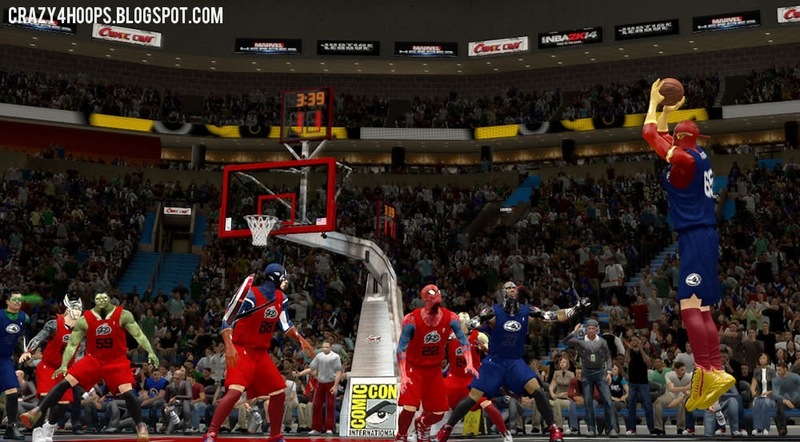 Copy all the 43 Files from the Main Folder to your NBA 2K14 main folder. 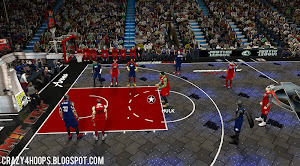 Copy the roster and settings file (MGX JL vs TA 2K14.ROS & MGX JL vs TA 2k14.STG) from the Saves folder to your NBA 2K14 Saves folder. 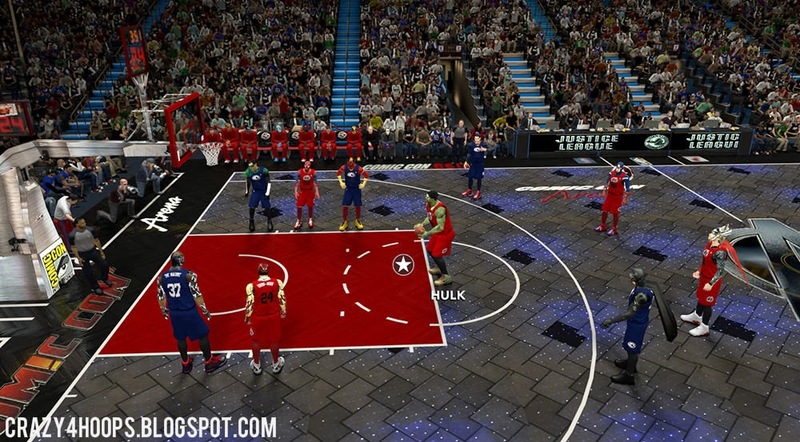 Copy the 36 Files from the ‘Shoes’ folder to your NBA 2K14 shoes folder. 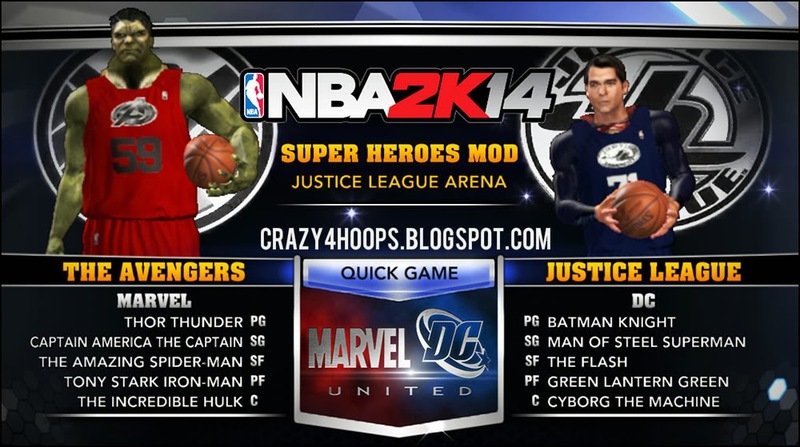 Play NBA 2K14 and go to Options > Load/Save > Load then select the Justice League vs. 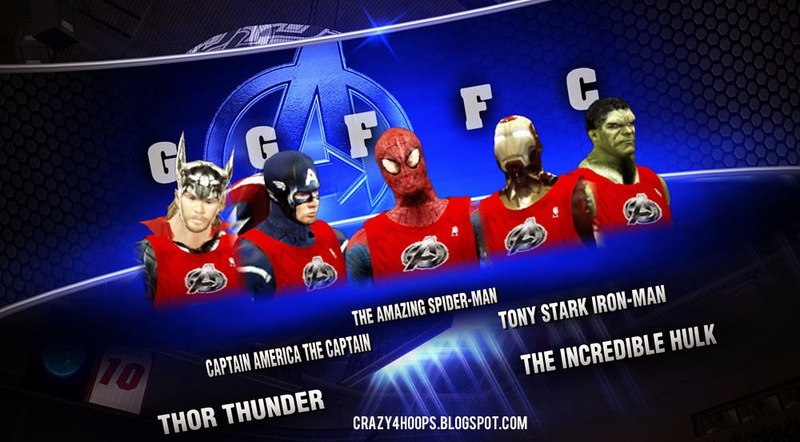 The Avengers settings and roster. 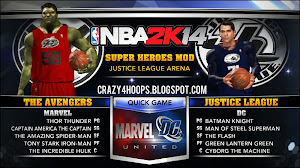 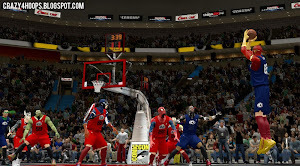 Super Heroes mod for NBA 2K14 PC featuring The Avengers and Justice League characters. Play 2K basketball with 25 super heroes from Marvel and DC comics.